ACS Foundation, Allan Hall Human Resource Services, Alstom, AMP Financial Advice Careers, ANZIIF, APA Group, ASIO, Attorney-General's Department, Australian Communications and Media Authority, Australian Federal Police, Australian Prudential Regulation Authority, Australian Securities and Investments Commission, Australian Signals Directorate, Australian Taxation Office, Australian Wool Innovation, BDO, British American Tobacco Australasia, Bunnings, Caltex, Carlton & United Breweries, Cognizant, Coles, Defence Force Recruiting, Department of Agriculture and Water Resources, Department of Defence, Department of Home Affairs, Department of Human Services, Department of Industry Innovation and Science, Department of Infrastructure, Regional Development and Cities, Department of Social Services, Department of Veterans' Affairs (DVA), Dexus, DXC Technology, FDM Group, Financial Planning Association of Australia, Findex, GradAustralia, IBM, IQPC, Ixom, Kennards Hire, Linfox, L'Oreal, Mainfreight, Matchworks, Navitas, Newcrest Mining Limited, NSW Department of Education – teach.NSW, NSW Government Graduate Program, Project Everest Ventures, Quickway, Readygrad, Reece Group, RSM Australia, Saab Australia, Schneider Electric, Servian, Sika Australia, Stockland, Suncorp, TechnologyOne, Telstra, Tempro, Thales Australia, The Australian National University, The Treasury, The University of Sydney, Thermo Fisher Scientific, Westpac Group. …and many more! 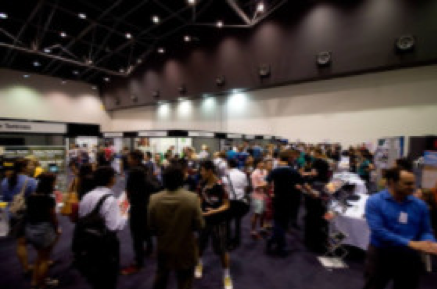 See www.thebigmeet.com.au for the full list of exhibitors.